Unwind in this rare four bedroom, four and one-half bath penthouse unit in Anaha, Honolulu's newest luxury condo. With approximately 3,000 sq. ft. of living space, this spacious unit feels like a house and is a must-see. The expansive open floor plan with 10-ft ceilings and spectacular floor-to-ceiling windows showcase panoramic views of the ocean, mountains, and Diamond Head. Each of the unit's four bedrooms has floor-to-ceiling windows and its own private ensuite bathroom. This home features two full-sized wine cellars, top-of-the-line Miele appliances, European cabinetry, quartz counters, hardwood flooring, custom lighting, walk-in closets, separate laundry room, and upgraded interior finishes. Enjoy the building's resort-like amenities including a large gym with both sauna and steam room, heated pool, Jacuzzi, barbecue area, playground, meeting room, party room, dining deck, dog park, tennis court, beach volleyball, putting green, and golf simulator room. 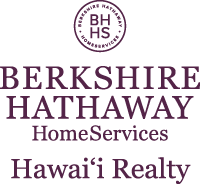 I am interested in 1108 Auahi Street UNIT PH 3602, Honolulu, HI 96814. Sign up for Inside AccessTM to view recent sales near 1108 Auahi Street UNIT PH 3602.